Lake Henry, New Hampshire, is buzzing over the annual maple syrup harvest as well as the shocking revelation that longtime resident Heather Malone has been led away by the FBI, which claims the devoted stepmother and businesswoman fled the scene of a fatal accident in California years before. Poppy Blake, her best friend, is determined to prove Heather's innocence, while facing past mistakes of her own: she has never overcome her guilt from the snowmobile accident that killed her partner and left her paralyzed. Playing an unlikely role in both women's lives is investigative journalist Griffin Hughes, whose attraction to Poppy keeps him coming back to Lake Henry, even though he is secretly responsible for drawing the law closer to Heather. To redeem himself, Griffin sets out to solve the mystery surrounding Heather and becomes the key to freeing Poppy from her own regrets and showing her a rich new future. 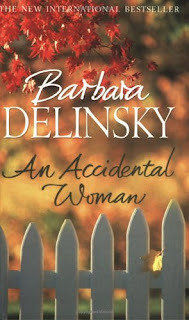 Ah, typical Barbara Delinsky! Her books are such comfort reads to me, I always know that I'm going to enjoy the story no matter what the subject matter is. It's the way that she writes the development of her characters and their relationships with each other. I didn't connect with Micah quite as much as I did Poppy and Griffin, but I think this is because I wasn't entirely convinced by the way he rejected Heather from keeping secrets from him and then accepted her back so easily. Heather didn't have much character development of her own but was more of a catalyst for the events than how she dealt with her past. I wish there had been more about Cassie, as there seemed to be a lot of potential for a story about her and her husband their issues with her working too much. Perhaps some of this was covered in the previous book, Lake News, which I've yet to read as I'd forgotten that the books were linked. My only real complaint about this book would have to be that the Camille situation seemed to be revealed at the utmost convenient moment in the plot and that Thea took to Poppy a bit too easily, but perhaps that was natural for a teenage girl who is inquisitive about her past. 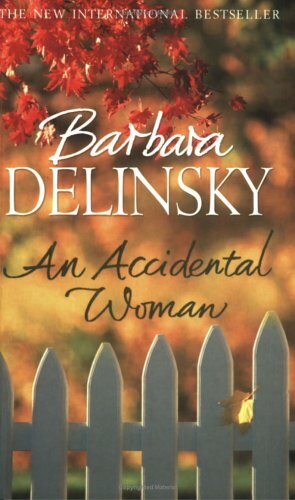 Overall, another excellent saga from Barbara Delinsky. Whenever I read one of her books I wonder why I waited so long to read it! I must have at least ten of her books on my bookshelves so I'll have make an effort to read more of them this year. Perhaps one a month? I loved this one...and now I want to reread it! But I have her newest book to read first. Thanks for the review. I can't wait to read "Escape", but sadly it's not been released in the UK yet so I'll have to wait until April! Thank you for the review, Rachel. I'm pleased my books are a comfort to you. Sorry about the wait for ESCAPE in the UK! I wish I had some say in the matter, but actually I don't. I appreciate your patience.